The red pin (below) is Meads Bay. 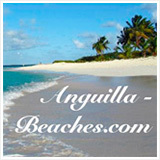 Meads Bay is one of Anguilla's top three best big beaches, next to Rendezvous Bay and Shoal Bay. It shores are smooth, long and wide (for Anguilla standards). The sand seems to stretch forever! Its waters are turquoise and clear. Some days they are calm, inviting, hardly a ripple on the surace. Other days, they challenge you. In winter months, waves here can reach 8'+! If you're a surfer, keep an eye open for good waves. 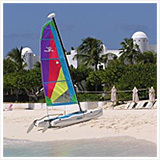 If you stay on Meads Bay, there is plenty to do. The shore is lined with many hotels and villas (from the super high-end to the affordable) and plenty of options for dining. Businesses here rent beach chairs, and some water sport equipment, too. Despite the fact that it is one of the most popular beaches, it is never crowded. Meads Bay affords great peace and tranquility. Click for more on Meads Bay. Location: On the Eastern end of the beach. Description: Towards the quieter side of Meads Bay, the Eastern side, lies Carimar Beach Club. Carimar is made up of a series of charming two-storey buildings. 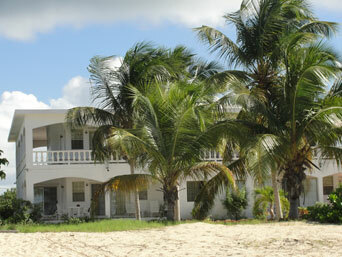 The hotel offers beach-front and beach-view units. Units are either one or two bedroom, and are complete with air conditioning in the bedrooms, a full kitchen and comfortable living/dining space. Additionally, each unit has its own balcony or private terrace. The rooms are clean, well-appointed and serviced daily. The location is hard to beat. This side of Meads Bay is noticeably quieter and calmer than the Western side. Beach chairs and umbrellas are always at the ready. A beach-front room is the room to book. 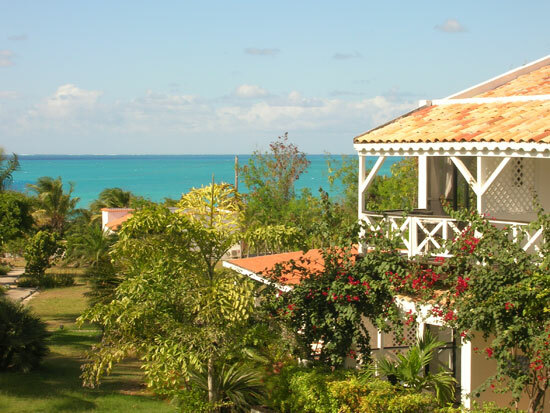 Beach-view rooms also offer nice views of Meads Bay, and the surrounding gardens are lush and well-manicured. 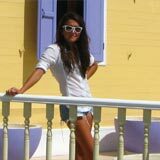 The staff is attentive, kind and willing and able to help you with any part of your vacation planning. There is also a tennis court on site. 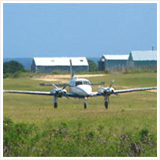 Rates start at $230 in the off-season and go to $675 in the high-season. Click for more on Carimar Beach Club. Location: Western end of Meads Bay. Description: Frangipani Beach Club catches you eye with its pink exterior and Spanish design. 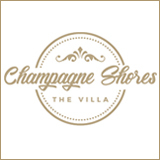 This boutique hotel offers standard rooms, ocean view rooms, suites and a penthouse suite. Each room is tastefully decorated with lively Caribbean decor, and the latest in amenities. There is a TV, air conditioning and Wi-Fi in each room. Certain suites also have full kitchens and dining areas. The most impressive unit is the Penthouse Suite. Spacious and bright, the views out to Meads Bay are unparalleled and best enjoyed from the expansive (and private) terrace. There is also a Penthouse Room located on this level (the hotel's third storey). Frangipani offers many amenities (water sports, pool), and has a dedicated staff who are happy to help and eager to please. Last but not least, the restaurant at Frangipani, Straw Hat. Straw Hat is one of our top three favorite restaurants in Anguilla. The food, the service, the hospitality... it is all five-star. Straw Hat around the clock is reasone nough to stay at Frangipani! Rooms start at $295 in the off season and go up to $1,705 in the high-season. Click for more on Frangipani Anguilla. Location: On the East end of the beach. Click for more on Malliouhana, an Auberge Resort. Location: In the middle of the beach. 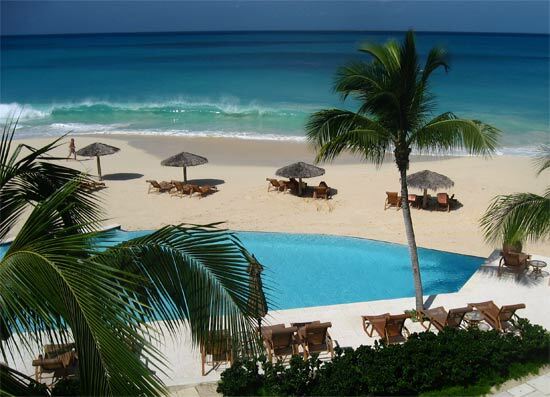 Description: Meads Bay Beach Villas is loyally-loved by many. With only four units, this hotel is intimate and incredibly private. Most can't even spot Meads Bay Beach Villas from the beach. It is quite "tucked away." The four units are made for comfortable living. 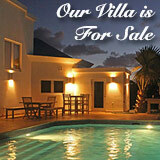 Each "villa" has its own private pool, a full lkitchen, living/dining area, and two bedrooms. The decor is more contemporary and familiar, with slight tropical inspirations. 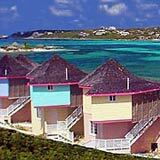 I can see how repeat guests settle into Meads Bay Beach Villas for good. The resort was even featured on HGTV. 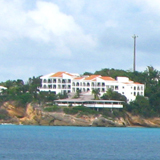 Villa 1 is set the closest to Meads Bay. 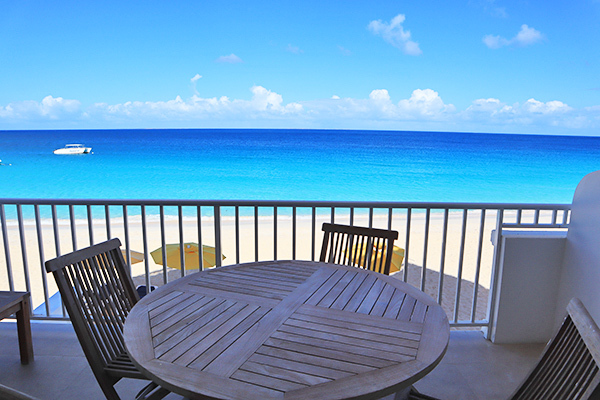 This unit has a front-row seat to Meads Bay in all of its glory. The villas set further back have smaller views of the sea. The garden view is also pretty. Meads Bay Beach Villas has some of the most impressively lush gardens on the island. Lastly, hospitality. This hotel's service is personal and five-star in many ways. Meads Bay might be majestic, but it's the people and a feeling of family that keeps visitors coming back. Rates start at $500 per night in the off-season and go to $1,000 per night in the high-season. 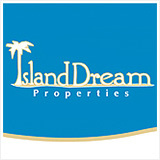 Click for more on Meads Bay Beach Villas. Description: Nathan's Cove has two 2 bedroom apartments on the first floor of their building, and one larger unit on the top floor (4 bedrooms). These units come with a full kitchen, a dining room, a living room and a veranda. Spacious and clean interior, a small, quiet property, friendly staff, and right in the sand of Meads Bay... that is Nathan's Cove! 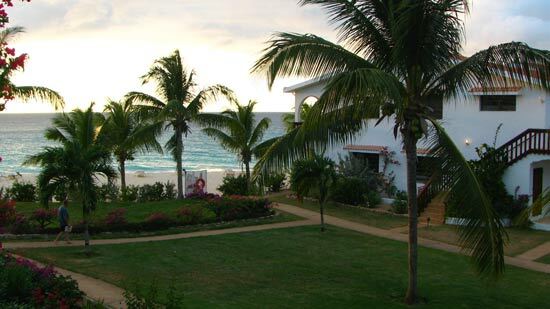 Description: Turtle's Nest Beach Resort is comprised of simple, clean, bright apartments. There are 1 bedroom units, 2 bedroom units, 3 bedroom units and studio. The rooms are spacious and nicely decorated, complete with a full kitchen, many household appliances (including washing machine), Wi-Fi and television. Turtle's Nest Beach Resort provides all of the comforts of home. Perhaps the most enticing aspect to Turtle's Nest is the view. 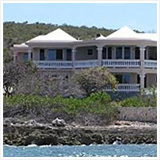 Their buildings are tall and offer some of the most panoramic views on the island. That being said, there is no elevator, so you must walk those stairs to get to your unit. The resort is located in the middle of the beach. Chairs and umbrellas are set up daily. There is a pool on site, too. I have only heard good things about the staff! Rates start at $232 in the off-season and can go to $900 in the high-season, depending on the room you need. Click for more on Turtle's Nest Beach Resort. 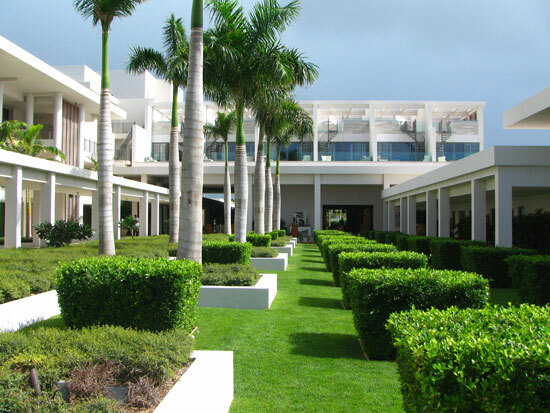 Update 2016: Formerly Viceroy, the property is now Four Seasons Anguilla. Location: On the rocky promontory between Meads Bay and Barnes Bay. Description: Click here for description. Description: Formerly part of Turtle's Nest, Bella Blu boasts the same excellent location and sweeping views of the beach! The boutique property is made up of nine suites. There are four two bedroom units, four one bedroom units and one studio unit. 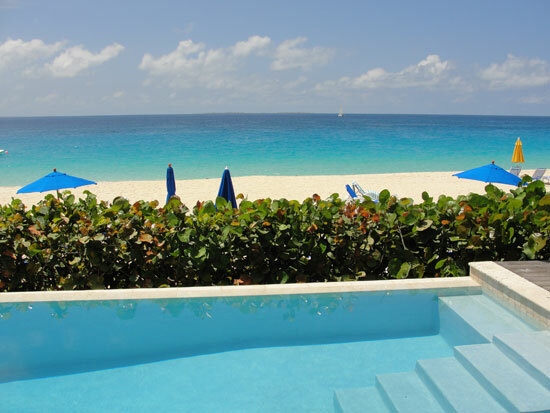 Available at reasonable rates (Bella Blu is an Anguilla Card Partner - so you save 10% more when you use your Anguilla Card to book), Bella Blu offers an affordable way to stay on Meads Bay. Click for more on Bella Blu. Location: A walk from the beach. Description: Skiffles has two private apartments, each of about 1250 square ft. 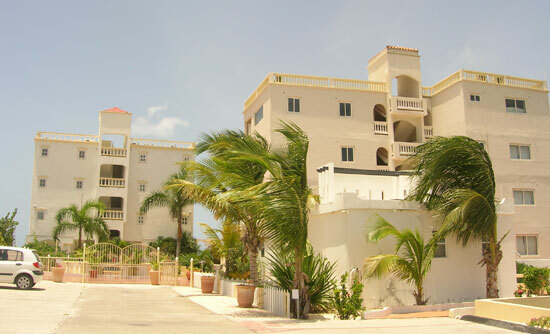 They come equipped with a full kitchen, dining room, living room, two bedrooms, a pool, and even views of St. Martin! Description: Anacaona is a terrific option if you are looking for something affordable, with amenities and want to be a stone's throw away from Meads Bay. Anacaona offers different rooms and suites, as well as separate, larger villa units. The rooms are tastefully furnished, complete with a/c, TV and Wi-Fi. The hotel went through a complete overhaul and renovation, and are completely cleaned and are well-maintained. The only complaint has been that certain rooms are a little dark and cramped. 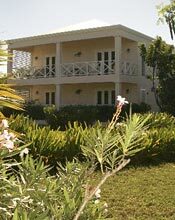 Outside of the rooms, Anacaona is set in a lush garden, a short walk away from Meads Bay. Certain rooms offer views of the sea, but otherwise, each room has more of a garden view. The property has two pools on site, and Firefly restaurant. There are also many dinner and dance/event nights at Anacaona, such as "The Night of Dance" and "Mayoumba Folkloric Theatre." 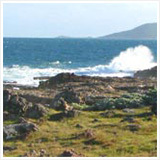 Rates start at $150 per night in the low-season and go up to $600 per night in the high-season. 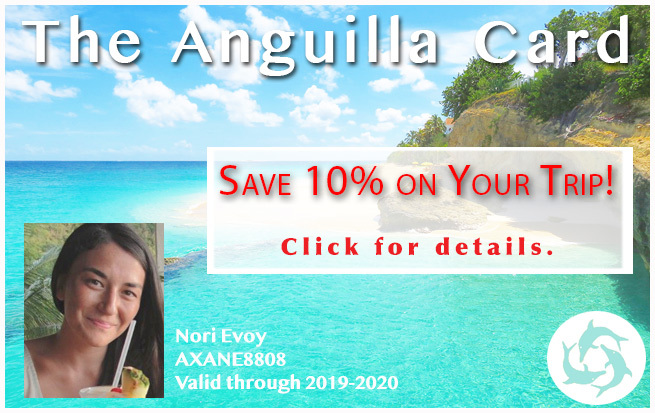 Click for more on Anacaona Boutique Hotel.